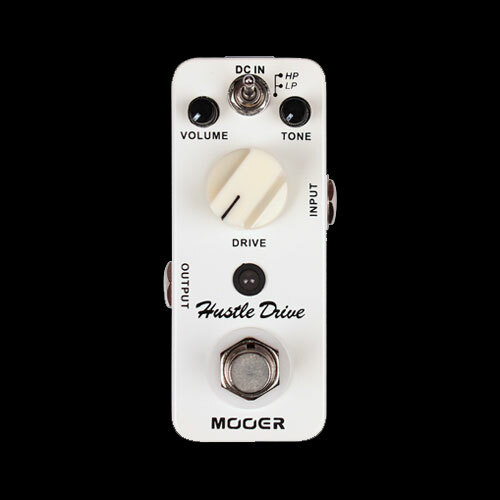 The Mooer Hustle Drive Overdrive pedal offers a wide range of tonal options in a compact and simple design. It has two modes of overdrive that are vastly different. High peak mode (HP) boosts up the bottom end. When increasing the distortion via the Drive knob, you get more volume and a slight increase in high-mid range (around 3.5KHz). Low peak mode (LP) colors the original sound very little but works well for clean boosting. Its full metal casing makes it durable and road ready, and like most great effects pedals it has true bypass.